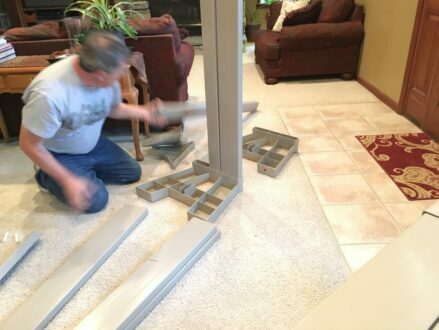 It’s nice to have a piece of furniture that is multipurpose for home and garden. 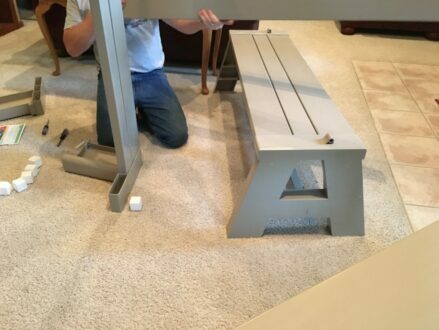 In today’s post I want to share a review with you the product every home owner should invest in The Convert-A-Bench. The Convert-a-Bench has been popping up all over my garden shared on social media since 2016. This has truly been one of the best product reviews I’ve conducted on my site and in my garden because I JUST LOVE IT! 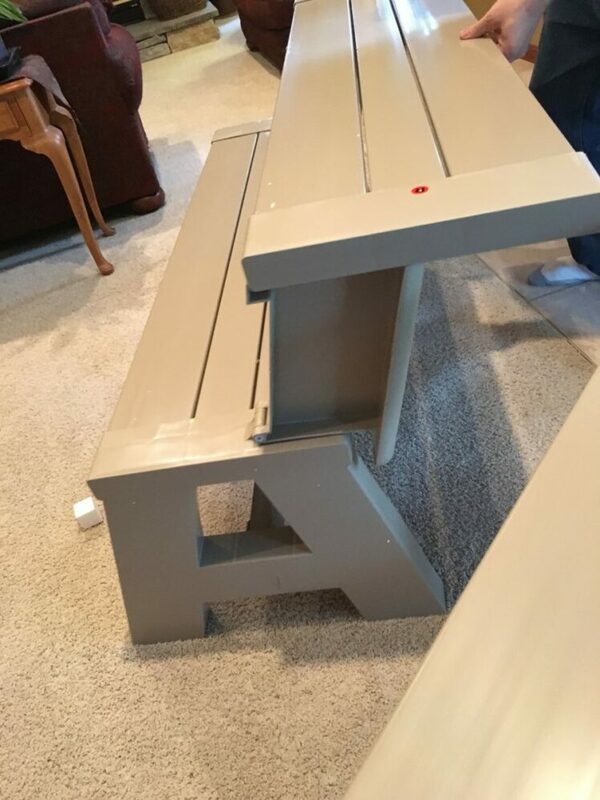 After connecting with the folks at Convert-a-Bench and using this product in my home and garden for the past three months I still can’t get over how easily it transforms from a comfortable bench into a picnic table in just two seconds by simply folding the back and armrests forward creating a bench with a tabletop for three. Simply slide it together with a second Convert-A-Bench to create a full sized picnic table (no tools required) that will easily seat 6 adults with a table top that can handle a harvest party like no other! In today’s post I want to highlight why everyone should own a Convert-A-Bench in their home and garden. I could literally own a dozen of these convert-a-bench to put in every living space on my property! It worked great in the mud-room (as pictured below) because it fit nice under the window and it provided a sitting space where the shoes are stored. I want to note that I am not a paid sponsor of this product and that I received it to do an honest review. The bench arrived in 2 tall boxes via Fed-Ex and I couldn’t wait to tear it open and move to my garden. 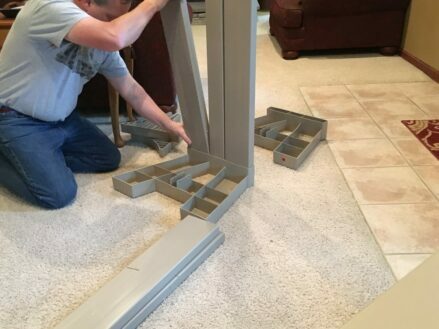 The boxes were awkward to carry compared to the assembled bench. In under 20 minutes we had two Convert-A-Benches put together in my living room. They actually sat in my front room for a week because it was too muddy to tote these outdoors to the geodesic bio dome where I originally wanted them. I could have moved them out to my mud room or the garage but they actually didn’t look too bad in the front room of my home. The benches were totally useful when my niece came over to color and do crafts. The Convert-A-Bench went together super quick! I was hoping it would take long because we were having fun! Quick to assemble and easy to use in the home garden. 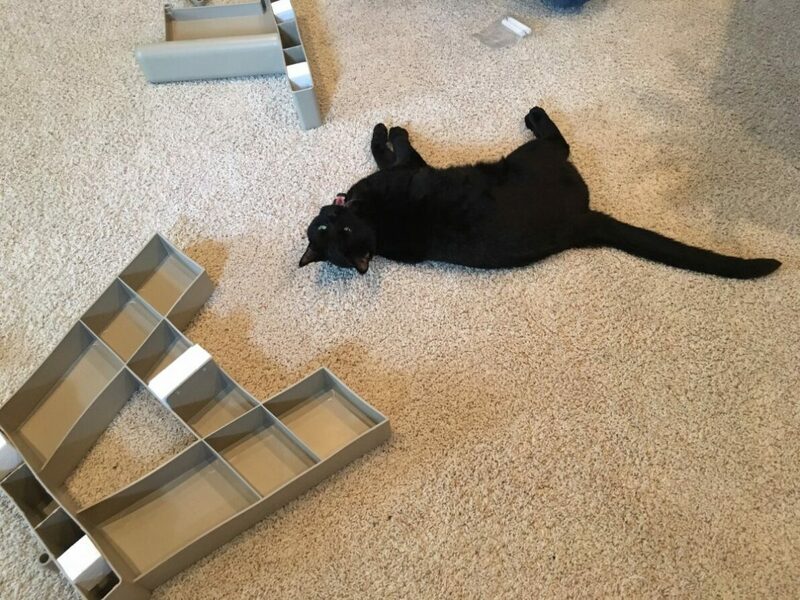 Cat helped assemble the bench! The Convert-A-Benches out in the meadow where the dome is to do a presentation and just enjoy the meadow. This bench is all over the place in my home and garden. Sitting area in the meadow by the Dome. I would love to hear from you and your thoughts on outside furniture. What are you looking for in lawn furniture and do you use yours year-round. Connect with me by commenting in the space below.